We are dedicated volunteers who, since 1997 have helped raise money for and given time to the preservation of this Bucyrus Erie BE 1150 Walking Dragline Excavator, known as “Oddball”. 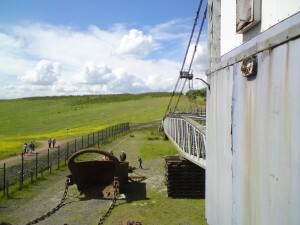 It is now preserved on the site of the former St Aidans surface (opencast) coal mine at Swillington, near Leeds, where it last worked. We organise regular Open Days for the public to attend and can also open at other times by appointment. 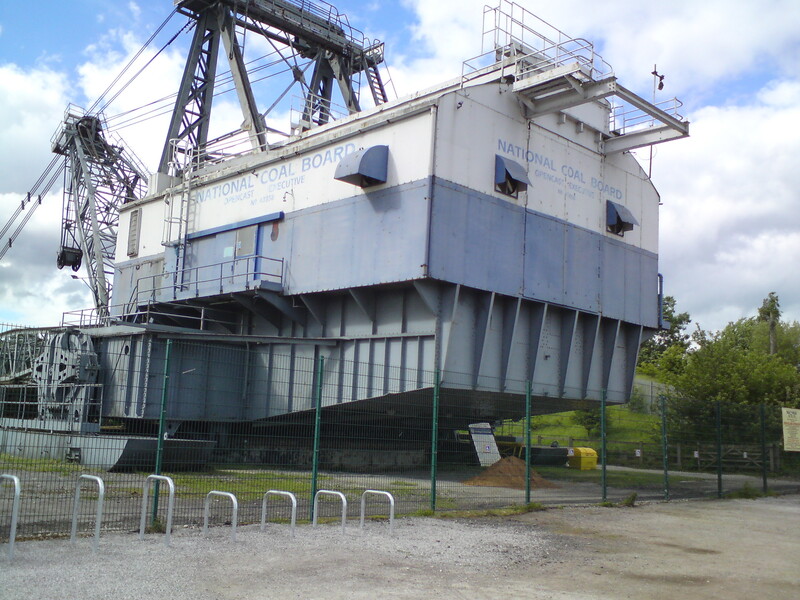 Also involved with the preservation of the dragline have been the National Coal Board and its successors R J B Mining and UK Coal, who owned the site and the machine, and the companies who worked as contractors on the site. These include Miller Mining, Scottish Coal and Taylor-Woodrow. In July 2000, Richard Budge, the then owner and operator of the site officially handed over the machine and its enclosure to the St Aidans Trust, a charity set up jointly by the NCB and Leeds City Council about 1990, to oversee the distribution of a fund set up by the NCB to care for the St Aidans site in the future. The principal organisations involved in the preservation of the machine have been the owners and operators of the site as mentioned above, Leeds City Council, the St Aidans Trust and the volunteers of the Friends of the Dragline. Substantial additional funding and assistance has been provided by the National Lottery, the Science Museum Prism Fund, European Funding Agencies and other benefactors. Mention should also be made of Beeby Plant Repairs who made the machine walk again to its present position and to Bucyrus (Europe) Ltd who provided replacement name plaques for the frame. 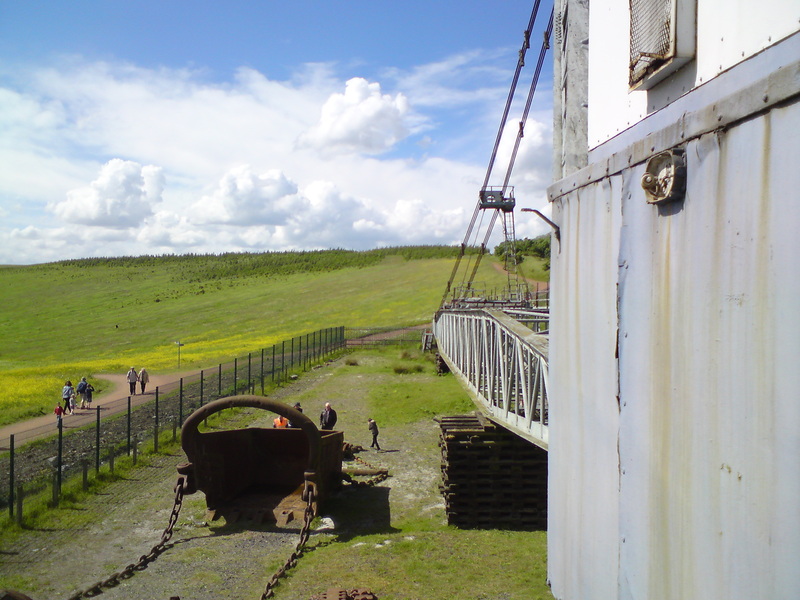 The preservation of the Dragline is a memorial or “landmark” recognising the achievements of opencast mine workers or “Sunshine Miners” who worked alongside their deepmine colleagues to produce coal when it was needed. The site on which the machine (or “Oddball”, as it has been called by its maintainers over the years although “she” was originally christened “Clinchfield” ) stands will soon be conveyed by UK Coal to Leeds City Council who will use funds from the Trust to help maintain the site and the machine.